Good: Very relaxing, if you don't play co-op. Bad: Co-op is one of the worst we have ever seen. 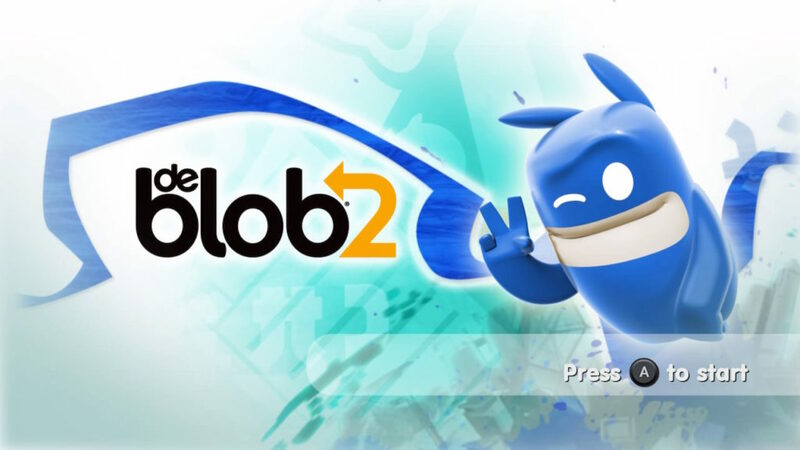 THQ Nordic has released de Blob 2 and opinions are divided. 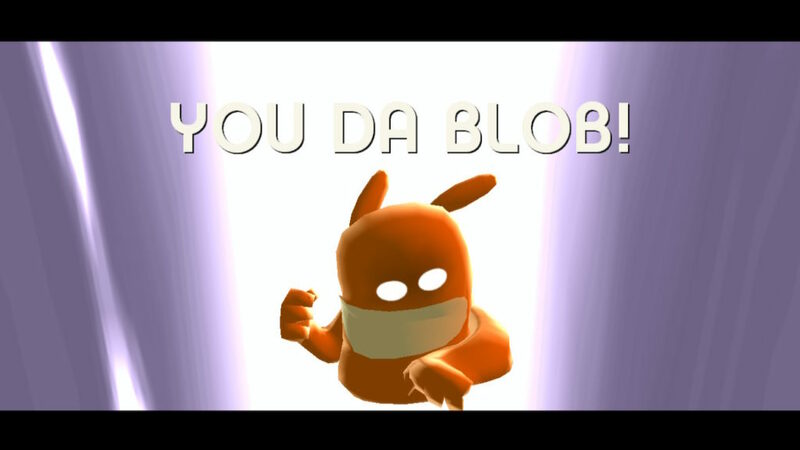 When de Blob was certainly a revolutionary game in 2008, it is not so much ten years later and de Blob 2 doesn’t stray far from its predecessor. Follow the story of Blob who is trying to make his world colourful again, in this compelling storyline which supports the gameplay all too well. There is no need to be blue, this game can make you feel like every colour you want to be. Prisma city’s general election will be the first thing you’ll witness with the priest Papa Blanc, which is the disguise of the villain from the previous game, Comrade Black. He is plotting to win by cheating on the election. Therefore he uses a metal arm in every election booth to press Blanc. This ends catastrophically and because of his cult of inkless wreak havoc in the whole world. You as the Blob need to rescue the world by bringing back the once so beautiful colours. They tell you the story through cutscenes and extra explanations given by your guide Pinky when she explains the reason for the numerous quests. The flow of the story is easy to understand but is rather packed in the first minutes and introduction quests. After those, you almost only receive more parts of the story when you complete most of the area you are in. When you keep in mind that this is originally a Wii console game, the graphics are pretty decent. Sadly, when you look around the world of de Blob, you’ll notice immediately that the use of basic shapes and a lot of the same props are used all over the world. On the other side, it has some kind of charm in relation to this specific platformer. We don’t really know if someone can handle the same song playing on repeat for hours on end. This is happening a lot in this game Which can be annoying after roaming around in one of the worlds for too long which can be annoying after roaming around in one of the worlds for too long. Also, voice acting is nowhere to be found, when quests are explained or showed in little cutscenes, you only hear a humming noise of the native language of the inhabitants of each island in the ‘de Blob’ universe. de Blob 2 is, just like its predecessor, a platformer and made out of the idea of a finals assignment of a few students. It starts off basic with a little cutscene of the events which happened right before the game started. The first Island you arrive on is ‘Paradise Island’ which is used by the inhabitants as a vacation resort. Your guide and partner in crime, Pinky, is happy to show you the basics of the game and for every new thing you encounter, there is a decent explanation linked to it. de Blob 2 spiced things up a little bit by adding some RPG like elements. 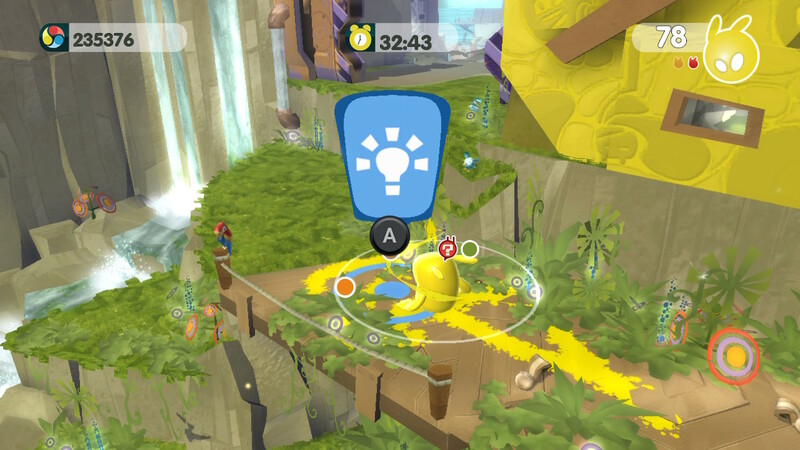 By collecting lightbulbs you can level up certain ‘skills’ of your Blob. This is very basic but ultimately it becomes extremely useful. You’ll get the chance to expand your paint capacity and four other ‘skills’. So when you get the hang of the game it is obviously quite simple in both easy and normal mode. 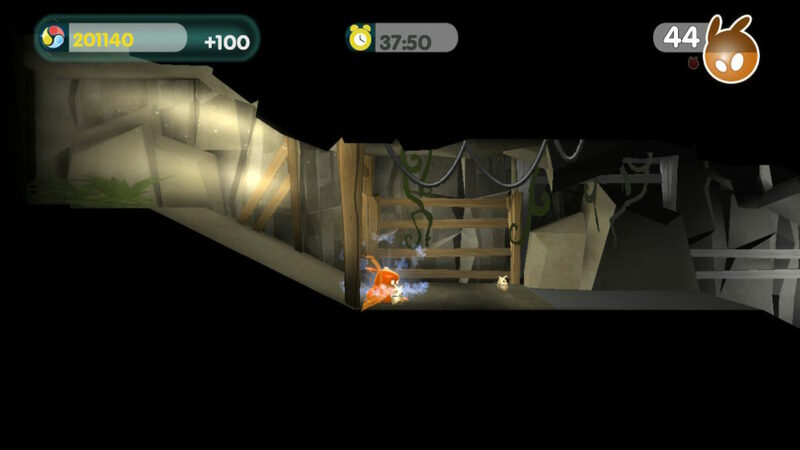 Only in later levels, you’ll encounter some more challenging and more difficult tasks. When we look at the basic gameplay of the game, you’ll find pools of paint throughout the world which you can roll around in to absorb the colour of this given paint-spring. You can wait for it to fully reload your paint capacity or just instantly charge it in those paint-springs. Later you’ll encounter geysers, those, in particular, don’t let you charge your character instantly to their maximum capacity but allow you to change colour. You can also find water and oil in the world around you. Oil will poison you, so stay away from it and water will wash you clean, so you have no colour left in your ‘Blobby’. Pinky has also provided you with a lot of quests throughout the world. These are fairly easy in the beginning because the main objective is always the same: “Give the world colour and preferably the colour we ask you to.” You can colour houses, trees, boats, cars and even the other Blobs which are drained of colour and are called ‘The Graydians’. Controlling the game can be quite hard at times, and this is mainly because of the poor camera settings, which truly make the game feel dated. It’s often hard to get the proper camera angle, and controlling the camera feels sluggish and annoying. They also put in co-op and a multiplayer features. When a second player joins in for a co-op session, he’ll be able to control a small dot on the screen which can shoot paint. Sadly the dot is very tiny, moves way too fast to be accurate and it can only colour your Blob, Graydians and vehicles. This cooperative mode feels redundant and we simply don’t see the point. The Co-op has given us anger issues, which we are now for in therapy. No, seriously, if we want to play a game with a dot racing at 400mph on our screen and doing absolutely NOTHING decent or helpful we would play this Co-op. Multiplayer, on the other hand, is quite fun. You get several tasks and play against each other with a Blob of your own. You need to collect as many points as possible, which you can acquire by completing the tasks. 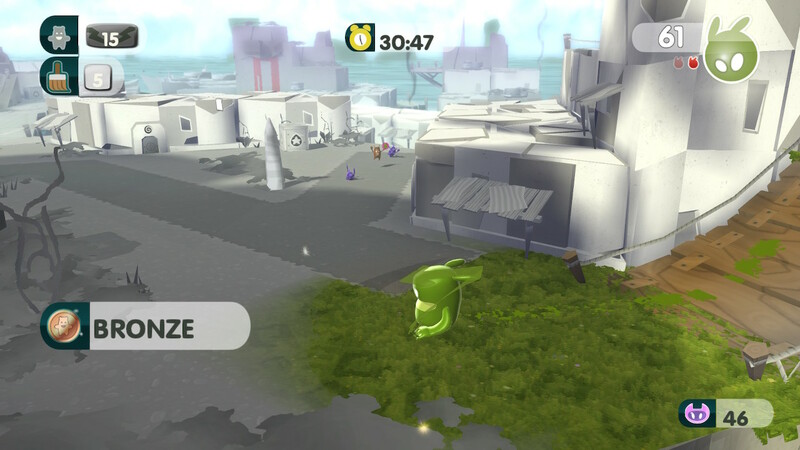 de Blob 2 is an easy platformer which can be played if you have absolutely nothing else to do and you want to game in a brain-dead fashion. Sadly, they don’t deliver a decent game anymore, which holds up to the standards of gameplay of 2018, in our opinion. There are still a lot of flaws in the game which will make you frustrated beyond imagination. This is a game you can certainly enjoy as a casual gamer if you look behind those flaws, it has potential and could still be made into much more if they ever consider a de Blob 3.